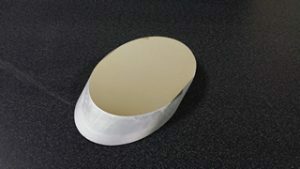 We make our own fused silica secondary mirrors. Let us make one CUSTOM for you if stock isn’t what you need. ​Since we make everything in our own shop we can manufacture you a custom size diagonal mirror. Just let us know what minor axis size you require with anything else modified and we will be happy to help you out.